As an Owner or Employee who oversees your workplace environment for safety, have you also investigated how you can reduce hazardous noise in those work environments? What are some ways you can effectively modify your work environments for safe noise exposure? The 1st Step should be understanding the impact noise exposure has on your workers, staff and visitors entering the workplace area. Beside considering the noise exposure of your associates and the potential noise induced hearing loss (NIHL), consider the effect noise has on their stress and therefore their safety. Recognizing the high impact that noise will have on many different levels to your workers can help you introduce the correct measures and the degree of importance to ensure these measures are introduced and what time frames they are introduced in. What are your regulatory levels for noise safety levels? Understanding accurately your regulatory levels and reporting requirements will allow your enhanced compliance and safety for your workers. What are your company standards for noise safety levels? Do you plan to exceed the regulatory recommendations and provide even safer levels? Do you also factor in the time exposure as safety levels are set in accordance with the amounts of time exposure permitted at certain levels? Do you have an accurate time clock practice to ensure that workers on longer shifts or shifts that may overlap 24 hour periods are still falling within the safety parameters? Do you also have a way to determine the exposure of visitors or workers who travel within different areas of noise exposure? Your current machinery and other equipment used for their sound levels. What new modifications exist or can be created for your current machinery or equipment? What new equipment is available on the market that may impact your decision to possibly replace equipment? Your worker’s exposure to noise – are there other options such as physical sound barriers that could be implemented in certain work areas? How you measure noise levels – are noise levels being correctly determined by the noise measuring tools you use and are you correctly measuring under differing conditions that may impact how those noise levels are recorded? The possibility of isolating a noise source to an area that will limit the amount of people exposed to that noise. Regular maintenance and check up of equipment and machinery to eliminate or diminish noise based on improperly functioning equipment. The work area where the noise takes place. Is this an enclosed area that may need or be able to have sound muffling measures added? Is this an open area where sound may travel with less precision or under differing weather or environmental conditions? For example, working on a road crew in an area that has cliffs or in a valley setting where noise can boomerang and creating even higher noise levels vs a stretch of road that is open and flat may produce very different levels of noise exposure to your workers. Your warning postings in areas of high levels of noise or warning posting devices if machinery is turned on that suddenly creates a new level of noise. Assessing your training and compliance of your workers in high noise levels areas. Below are some key questions regarding noise exposure. 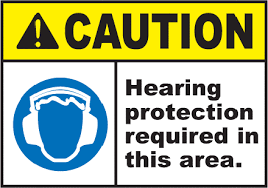 Do your workers understand the concerns to their hearing health from NIHL? Have they been supplied the proper information to protect their hearing while on the job? If they use personal hearing protection devices, are they properly fitted and appropriate for the noise levels they may be exposed to? Are they being worn? 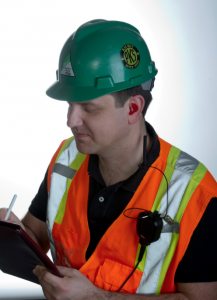 Does your company supply frequent assessments of both the workers hearing and the protection device they wear? Does your company provide your workers the appropriate device for their personal use? There are many ways that you can ensure and increase the noise safety in your workplace environment creating a win-win environment for all. Learn more about personal hearing protection and Fit Check Training.